as a massive thank you for reading my blog, commenting and supporting me I decided to hold a little thank you giveaway. 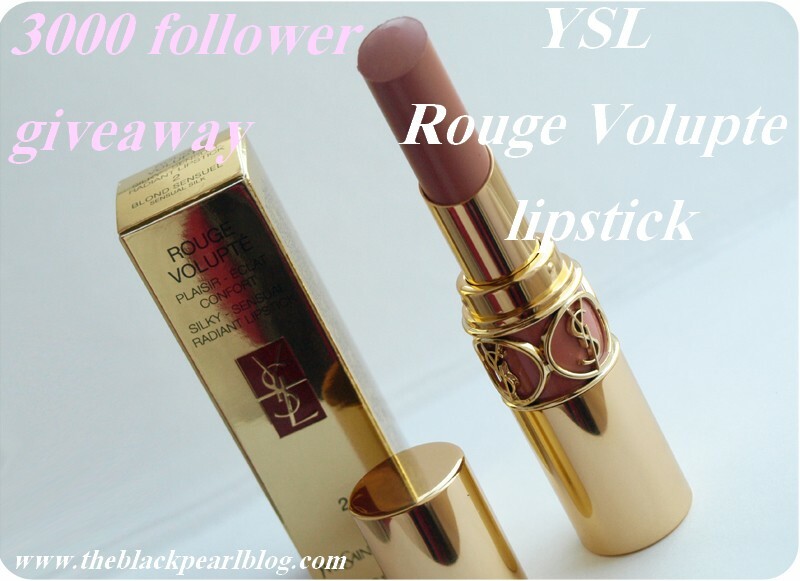 I recently fell in love with YSL Rouge Volupte lipstick and I thought that it will be lovely to give my readers a chance to win one of the gorgeous YSL lipsticks! You can pick any shade you want from www.feelunique.com and let me know in the comment what one you would like to win. I also prepared a little box of goodies- beauty products and some jewellery as a second prize.